We created this map to show free or very low cost camping areas in Tasmania. Click on the map to get a full-sized view for printing. On this page, below the map, you’ll find a legend that gives more details on the various sites. See also, general advice on camping for free in Tasmania. Most of the sites marked on the map will have at least pit toilets and rainwater. A few may have amenities like barbecues and showers. A very few will have nothing other than a cleared area for camping. In these cases, please remember to bury your human waste at least 15cm deep and well away from any water source. For sites in National Parks, you will need to buy a pass to enter the park. We personally visited many of these camping sites during our bicycle trip in January 2009. Others have been suggested by fellow cyclists, guidebooks and tourist bureaus. We have done our best to assure accuracy but please be aware that some of this list is based on second-hand information and things do change! If you have places or further details to add, please send us the details so we can share them with other travellers. Please respect ‘no camping’ signs where they are posted and leave these sites better than you found them. Why not pick up a bit of stray litter as you take your own away? # – About 2km south of Tullah there is a bridge over Lake Rosebery. Just before the bridge is a sharp turn / embankment. As you see that turn, you’ll also see a dirt road going the other way to the right. This leads to a free campsite on the lakes edge. Free camping is also possible just on the other side of the bridge, also on the right side, following a dirt road for a similar 50 metres or so. was wondering if its ok to park and sleep at the free sites you have listed or are they just for actual camping?? wow thank you for the quick response!! no hassle hun as long as you pick up after the little guy..
No dogs allowed in National Park sites in Tasmania. Forestry and state reserves allow dogs. It will tell you at the site or have a look on the wikicamps app. You will need to pay for a Parks Pass in Tasmania. You can pick one up on the ferry. do you need camping permits for these camping groung? Hi, no special permits are needed for these campsites. This is exactly what we needed for our trip next week. Is the sign for free camping site clear? I’m afraid of not being able to find the camping areas when I get there.. I don’t think you’ll have any problem finding them. They should be marked, yes. This is a great site thanks so much for the information. Do you know which sites are pet friendly? I know the ones in national parks would not be, but the other free camping grounds you mentioned are they dog friendly? This is a very useful site. lots of info and good map. Great for campervan travel. There is a very nice free camping ground at the St Marys Recreation Grounds, it is sign posted. Showers were free, may be coin operated by now. 200 metres from town centre. Just toured Tasmania and most of he sites were close to full with Winnebagos and caravans…..don’t expect access to free camping from October through to April. Couple of extra details for those reading this site until it gets updated..
A: Gowrie Park wilderness village (Claude Rd) has U/P sites for $20 and powered for $25. Showers $1 for about 5 mins additional. Never found the free sites mentioned. H: Bay of Fires. There’s a few sites dotted along. One of the best ones is Cosy corner north. This has drop-toilets but no other facilities. Great setting and good sites that provide nice wind-breaks. n: Bushy Park. Prices have increased to $6 per person to park in Mike’s backyard. So at $12 for two people, it’s a bit pricey for what it is. Showers are $1. But the term shower is a loose one. A bucket of water with a pump to a shower head is provided but warm water isn’t always available. No power provided. P – Lake Leake. This isn’t free, but it is cheap. Camping is $5 for an U/P site and then $2 for each additional person. Showers are 20 cents for 3 minutes of hot water, leeches come for free. Sheltered area and plenty of picnic tables. I see that a lot of people are travelling in campervans, but what about tents ? I’m planning on biking across the island and I was wondering if the campgrounds suggested would fit me. Hi Samuel, we originally posted this page after doing a bike tour in Tasmania. Since then, many people in campervans have used it but yes, all the sites suit tents (or they did at the time we were there). Hi my husband and I are touring Tasmania with our 21ft caravan for 4 weeks in early Febuary.We intend to see as much as we can and to use as many of the free camping sites as possible,are there any roads unsuitable for caravans that would best be avoided if so where.Thanks.Annette and Bert Mastop. We are planning to go camping around a couple of national parks in Tas over Christmas such as Mount William, Lake St Claire. Does anyone know of any campsites that dont get too many people over the holidays? I went to Mount William national park a couple years ago in off peak season and it was divine , but part of that was because there was no one there. we are going back to tassie for the second time but are alarmed to read some rebelling to free camping there. we have a motorhome and 3yrs ago we had a free camp book and now have a camp 6 book showing 270 free camps marked on the maps. So my inquiry is can we still go by the camp 6 book or is there some restrictions. The cost of travelling is about 800 to 1000 dollars per week without staying in caravan sites so the free camping is a saviour, and we loved tassie so we are staying for 6 weeks this time round. How cool would this be if it was a google map instead. everyone could add to it and i could look it up on my phone ! Hi Stefano – agree, it would be cool! Actually, someone provided us with a KML file a while back. I keep meaning to upload it but haven’t had the time. Will try to do it soon. We live in Tassie and travel a lot in our motorhome and very rarely have a problem in finding a good free camping spot. The most we have paid is $10 per night at Franklin and Port Huon. did you find free campsites in & around Hobart? thx a lot, im planning to be there for a week but i dont have a car, hence,im going to hire a bike and bring my tent to there. do u have any good idea that where should i go or about any good routes. plz let me know, i’ll stay there for 4-6 days. I`m going to travel Tassie by bicycle. Start 28 DEC from LAUNCESTON,pass CRADLE MOUNTAIN ,to HOBART for two weeks. west and south part of cradle mauntain. Hey this is a great site! I was just wondering about camping in Wielangta State Forest. Are you able to camp there and does it cost money? or is it more for just day trips? Yes it is dog friendly. Have a good trip. Har du et godt forslag til en tur Tasmanien rundt i autocamper. Vi er et par på 59 år, der gerne vil se natur og historie, men ikke klatrer og går ikke langt. Vi vil overnatte hvor vi kan få strøm og bad hver anden dag. Turen skal vare 6 dage, vi vil besøge markedet i Hobart. Any tips for extra amazing camping sites in national parks/beautiful vistas that I can take my boyfriend too when we come down this year for a couple weeks driving around Tassie? We need to put a family in a tent all there cooking etc is stored in my car till we find somewhere. they are sleeping out on the rain last night . The bus picks the girl up in Wynyard for school. They have no other transport.except public transport. So we need a free site or low cost . I stayed at Andy’s Bakery late 2013 and now the fee is $6 (just me & 2 dogs). Andy’s only uses one little shop in the complex now, the other two were vacant when I was there. Unfortunately the area is not looked after now. The ‘laundry’ washing machine has broken down, one toilet in ladies was overflowing & filthy. The water tap where you could fill up near the dump point has been removed, the nice caretaker told me the freeze in winter kept breaking the pipes and was kind enough to pull a hose over from the shower. The ‘shower’ is in a port-a-loo & costs $6 – no change room. Very sad to see what was a top site fall to pieces like this. 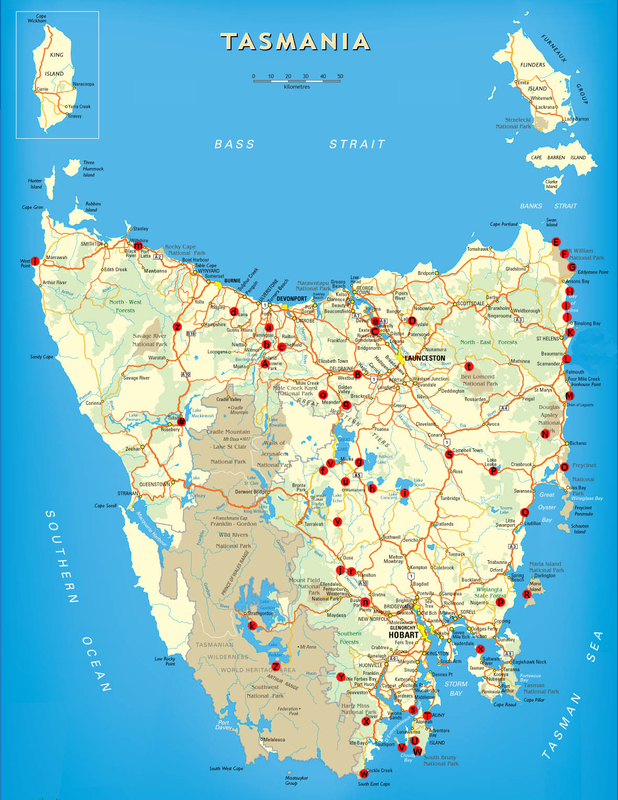 as i have requested to you could you send a free tasmania map to my e mail we are coming down to tasmania in october for a campervan holiday or call me 0404636291. it would be very handy. Dear Ruth, we are not a tourist bureau. We are simply a couple of people who enjoy cycling and gathered this information during our trip to Tasmania. Everything we have to offer is already published on our website. Enjoy your trip! Hi we are in taz at the moment we have a tent but it’s been very windy and rainy do you know of anywhere we can pull car over for night to rest on our travels or know how we could obtain this info! Thanks heaps! I recently read in a Caravanning magazine that free RV sites especially in Tasmania and WA are being removed or closed by local councils because they have been informed that they are in fact illegal, for two reasons one that they restrict trade and they apparently in the opinion of ( a government department which I think was the DPI(not a 100%sure of the department)are illegal if run by councils, is there any truth in the article. Like the site. Heading down to Tassie in April for 4 weeks and looking to do the tourist thing for a few days but really want to get away from it all for the majority of the trip. We will be going over on the ferry from Melbourne with our 4×4 and off road camper trailer. I have been doing a bit of research but having never been there before I’d value your opinion as to what was the best area that you stayed at. Yes, it is common thought that travellers with caravans and motorhomes etc, that can be self-suffcient, spend far less in small towns. So there is very little incentive for councils etc to invest in creating the space for them when other travellers are contribute more to local economies. This info was gleaned from conversations with National parks and other locals during our last two trips to Tassie. thankyou to both of you. your map has been shared for our audience on my Facebook community page Free Camping Australia. I,m sure thousands of travelers will appreciate your efforts…cheer’s and regards Glenn. Now I find it a bit fair to update, share and add few recommendations about what we found out during our trip. 1st night (not in your map) : on friendly beaches close to Freycinet nat park, free camp with bush toilet and that’s it. Very close to the beach and beautiful landscapes. 2nd and 4th nights (D) : Lylidale falls free campging with toilet, electric bbq and undrikable water (nice place !). Very easy to find it is just before Lilydale town. 3rd night (q) : Liffey Falls free camping and beautifuuuul falls there. They said toilet but we didn’t found them and very easy to make a fire bbq, heaps of place and quiet as we love. 5th night (J) : Bay of fires camping. We found heaps of room around there and this place is just great. You can easily find THE spot with no neighbour :P. Bush toilets. 6th night (Q) : Mayfield Bay free camping, it was FULL like we were so lucky to find a room to put our tent close to a friendly family. Toilets and that’s it. You sleep in front of a beautiful beach, worth to sleep there. 7th night (j,r&n): we first visited Bushy Park and met this very nice fellow who welcomes people in his property (he told us the story when you came and were sick :)). We spoke quiet a bit with him but decided to find our luck somewhere else because prices increase, it is now 7$/person + 2$ for a rustic shower with a 15 litters jerrican. We then went to (r) in Hamilton wich is very nice for 5$/car you can put your tent or two or three and get a FREE hot shower, electric bbq, drinkable water and power point !! 8th night (not on your map) : Beautiful nat park camping in Mount Field for 16$ unpowered and 20$ powered site. We loved it !! Free bbq everywhere around, shelters, hot shower and a good vide with some wallabies everywhere around. 9th and 10th nights (s): Gordon camping area wich is now 5$. Still cheap but good to know. You will find toilet and a beautiful view of south Bruny Island, lovely. Thank you very much for your work again and I hope this will help the next adventurers in Tasmania. Do it it is such an amaizing area !! we are planning on travelling in early January. By the sounds of it there are plenty of cheap campsites with no need to book. Would this be correct? In January space will be at a premium when everyone is having time off after Christmas. First in first served for the above places. Other places you need to book ASAP. January would be a bit more of a challenge to find a good spot as it is school holidays and very busy. Many people set up camp prior to Christmas and return after New Year. Over the last two weeks we have campervaned all over Tas, using your free camping guide whenever we could. In total, we would have stayed at a dozen of your suggestions, and over the two week period only spent $21 in total for accomodation. THANK YOU!!!!! we came, we saw and we conquered Tassie, and we have you guys to thank in helping us discover some of the most beautiful places! So thank you a million for putting the time and effort into the Tassie guide, we really appreciate all your hard work. ‘Burying own waste’? I hope not. As you know people come with rubbish its good practice to take it out. Cid, I think Friedel means ‘toilet waste’.I do not think you would want to take that home! I think he was talking about poo as there are no toilets there! The camping at Jetty Beach and on The Neck, Bruny Island isn’t free. Contact the Tasmania Parks and Wildlife Service for details. Petal Point in the Far North East of Tasmania (near Cape Portland) – long drop. Great initiative utilising a TASMAP map. You can also use the free web map viewer LISTmap and its hundreds of layers of information and many basemaps, including the multi-scale topographic basemap. You can plan your trip, save bookmarks of your destinations and even use markup to mark features and favourite spots. x: very beautiful place by the sea. 6$/pers in a box. Plenty of place for camp or make a fire.. Didn t see any facilities thought. A long gravel road for get there but drivable with little car..
Omg! How is the Rocky Cape Tavern not on this map!! There is a 10ft high 20m long sign on the fence that says FREE CAMPING!! There is also amenities block, laundromat and powered sites available AND it’s at a great pub!! Definitely needs to be added! Hi Dean – I’ve seen that sign, too, when I have driven past. As with all ‘great and wonderful things’, you need to read the small print on that sign – it is free for self contained vehicles only. Great site. Thanks for all the useful information. We will be visiting Tasmania from October – January. 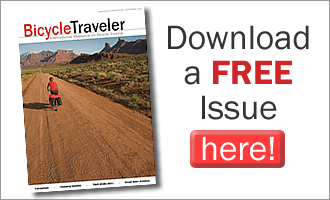 Are these free camp sites suitable for our 23′ caravan plus our Landcruiser? Your help would be appreciated. Ted’s beach, technically is a paid site… Just no one polices it. Do I need to book a spot? Bushy Park is terrible, I wouldn’t recommand it. It’s 7$ per person, for nothing! Cold shower is another 2$! For this price just drive another half hour to the mount field national park and you will enjoy hot shower, free bbq and be in the middle of the wildlife! My partner and I will be visiting Tasmania this week so was very pleased to find that free campsites are available. I was wondering what the rules on camp fires are? Is it ok for small, controlled campfires for cooking? Obviously the ‘leave no trace’policy will be adhered too. hello, I’m planning a trip in Tamania. All these camps have showers and toilets? Hi, we’re planning to go to tasmania touring coast to coast in june this year. Only that month available for cruise return ticket. We’ll be traveling by car. Can we use the camp site? Just to reduce the cost? Any suggestion? Scottsdale in the North East has a beautiful camping site with a fantastic nature park and walkway. Hot showers ($2 I think) and flush toilets & lots of barbecue space. Has live music there sometimes too. Well maintained and right in town. Also most of the towns down North East highway have camping including Branxholm (next to pool & near IGA and the pub), Derby and those off the beaten track like Legerwood & Winnaleah – I don’t know if Ringarooma does or not. Another spot with great free camping is Mathinna both in the town itself and just before you get to it, instead of turning into the town turn towards the river and there’s a fantastic camping spot right on the river (dog friendly) with a drop toilet. Anyway – that’s just a few of them. There are free camping spots everywhere still, the locals will know. “q – Liffey Falls” has suffered serious damage to the roads and is closed to access so worth enquiring whether you can camp there with the authorities before you go. “B – Westbury (Andy’s Bakery, A$2.50/pp, free wifi/internet, toilets, laundry – recommended! )” is now either $6 pp, $8 pp or free (depending on the season) and the showers cost $6 each. Bit steep imho. A good spot in this area is Quamby Corner which is $9 pp (a bit steep) but has great facilities (showers, laundry, sheltered outdoor kitchen, complimentary firewood w/ fire pit and a great view in the morning of a nearby mountain). “M – Chain of Lagoons” is a series of campsites along the coast — I most recommend ‘Lagoon Beach’ (if you can get a spot) as it has great toilets, nice big spots for large groups/motorhomes, fire pits and easy beach access. Friedel, I’m headed to Tasmania for almost three months of bike touring (less 10 days for a mediation retreat). Water is a lot on my mind as I think about camping and keep reading of campgrounds where you must bring your own water. I know I’m probably overthinking this before arriving and seeing the situation, but … where did you generally get water when camping? Do stores have bulk dispensers in towns? Did you have to buy bottled? Get filled at … ? Running out of/short on water is a big concern for me. Thanks for all of the fabulous resources you share! does anyone know, if I have to book in some of the camping places? or can I just come and use the place? Leave a Reply to Keith Smith Click here to cancel reply.